Prime Ministerâs Lawn. A woman leads me to her daughter who days before gave birth to a baby girl named Patricia inside their tent with no medical care. 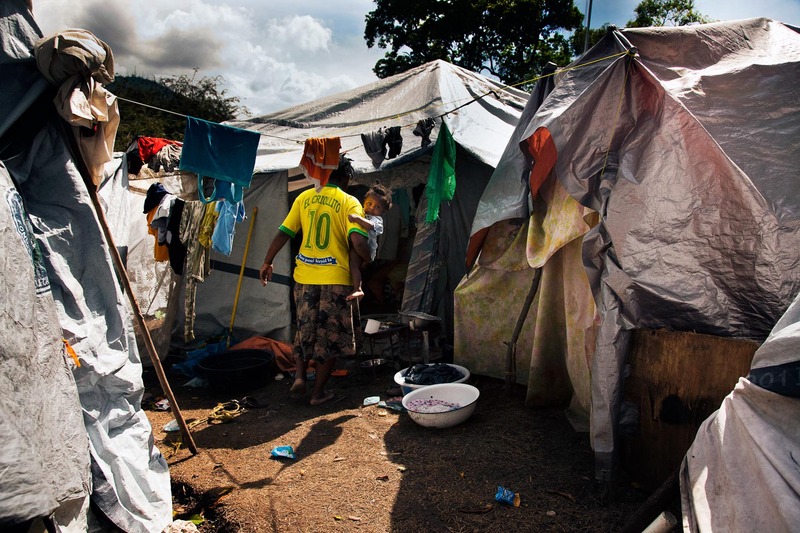 2,000 people are living in this tent city, located on the front lawn of the Prime Ministerâs former residence, while the nearly 1.5 million other homeless have sought refuge in empty lots, playgrounds, schools, soccer fields, parks, a car dealership, and Haiti's only golf course. May, 2010.